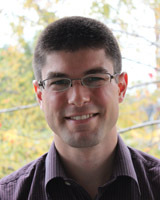 As a physical medicine and rehabilitation specialist and member of the bone and joint lab at the university of Ottawa, my research interests include conditions causing joint pain and immobility. One of our group’s primary focuses is osteoarthritis (OA), the world’s fastest growing chronic condition. Using a variety of approaches, including cell-based experiments, animal models and clinical interventions, we endeavor to discover new insights into the pathophysiology and treatment of OA. Due to the failure of pharmacologic treatments to reverse or halt the progression of OA, we have a keen interest in the regenerative potential of stem cell-based therapies, including mesenchymal stem cells. We have partnered with stem cell scientists at our institution to find novel sources of highly prolific adult stem cells with potent chondrogenic potential.